This post was originally published on May 17, 2010. It was substantially revised and re-posted on September 18, 2015. 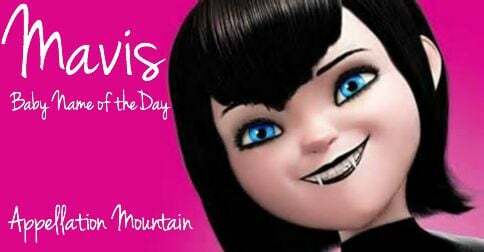 She’s the adorable vampiress at the heart of the Hotel Transylvania movies. Thanks to Elle and Urban Angel for suggesting Mavis as our Baby Name of the Day. 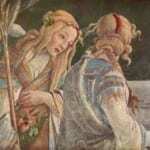 Mavis made waves in the early twentieth century. Credit goes to author British Marie Corelli. She was probably the first to use this as a given name. 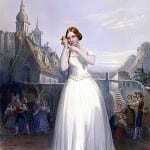 Her 1895 bestseller The Sorrows of Satan told of penniless writer tempted with riches. The hero ultimately chooses simplicity – along with the love of a good woman, Mavis. The novel was a bestseller, and Mavis debuted in the US Top 1000 that same year. DW Griffith made a movie version in 1926. Carol Dempster played the virtuous female lead. By then, the name had risen to #280. Names like Mae and Mabel were firmly established favorites for girls in the era, so Mavis fit right in. The name peaked at #270 in 1927, and soon started falling. It left the US Top 1000 entirely after 1963, and bordered on extinction. In 1999, it was given to just nine girls. The song thrush is also known as the throstle and the mavis. The name comes from the French mauvis. 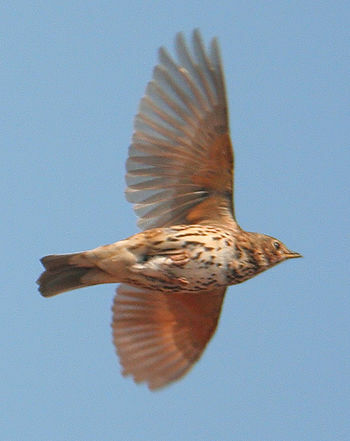 The bird has an appealing song, and is much referenced in poetry – possibly Corelli’s inspiration. The Staple Singers’ Mavis Staples, known for 1970s hits like “I’ll Take You There,” as well as her role in the civil rights movement. In the 1980s, a popular learn-to-type software was called Mavis Beacon Typing Tutor, named after Ms. Staples. It’s the first name of philanthropist Mrs. Jay Leno. Britcom actress Mavis Pugh was known for many memorable roles. Maybird Tate was an early twentieth century British politician and suffragette who preferred Mavis as a nickname. There’s an engine in Thomas the Tank Engine. Marvel has given the name to a handful of villains. Australia’s The Mavis Bramston Show was a 1960s favorite. The title character was thoroughly unlikable. Coronation Street had a series regular by the name from the 1970s through the 1990s. Michael Moorcock’s Dancers at the End of Time sci-fi series includes Miss Mavis Ming. The name must have been fashionable in Asia in the 1970s. Singers Mavis Fan of Taiwan and Mavis Hee of Singapore both wear the name. In 2012, we met the residents of Hotel Transylvania. Count Dracula built the hotel after his wife was killed by an angry mob. It’s a safe place for monsters of all kinds, and it’s the setting for Drac’s daughter’s 118th birthday bash. Mavis wants to see the world, but Drac’s overprotective. But then human Johnny stumbles into the hotel on the eve of the big party, and sparks fly between the two. Since the 2012 release, Mavis has gone from obscure – just 43 girls given the name that year – to revival-ready. By 2014, there were 231 newborn Mavises. It isn’t just Hotel Transylvania boosting the name, though a young Mavis has definitely helped. The name also shares sounds with chart-topping Ava, and up-and-coming Maeve. Plus the ‘s’ sound ending is heard in lots of vintage charmers, from Alice to Frances. 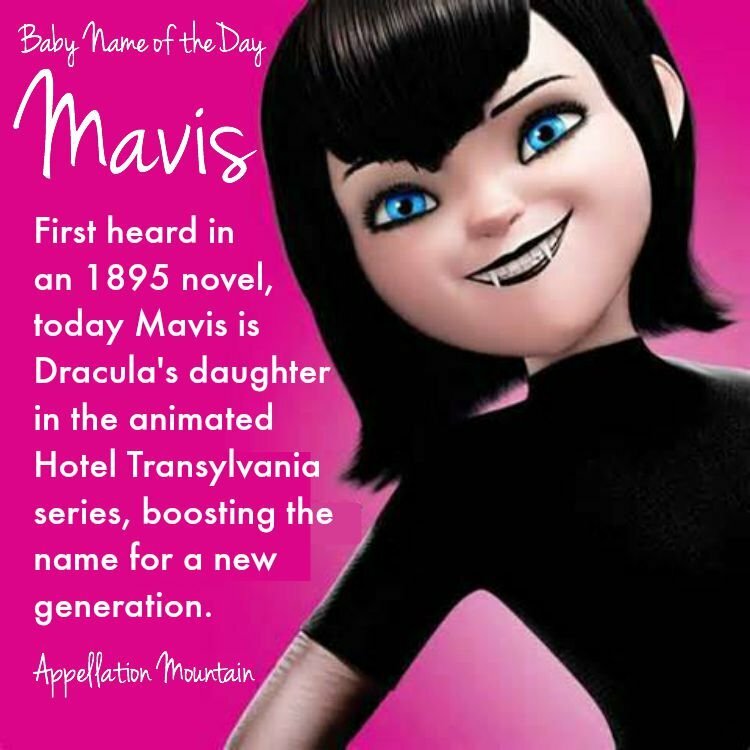 Possible nickname Mavy – used by Drac in the film – has quite a bit of appeal. If you’re looking for a vintage name that’s on the cusp of revival, Mavis is one to consider. What do you think of Mavis? Is this name ready for revival? I can’t get on board with this one either. Mavis makes me think of the computer program for typing from the 90s. My husband will hate it. I just looked in my weekly newspaper & there was actually a Mavis in it. Talk about coincidence ! Mavis doesn’t do anything for me. It’s not even fusty to my ears; it just sounds blah. The Coronation Street character is my one and only association – giving the name an unfashionable old lady vibe to me – which slightly makes me like it. Though I like Maeve more – buy hubby says he does not. I have to agree that Mavis still feels a bit too old-lady for me. 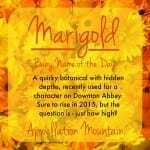 And I do go for that dusty kind of name quite often, but not Mavis (or Mabel or Myrtle or Janice (which actually seems like my mom’s generation), but yes to Marian and Miriam and Alice… and maybe on Frances) – rhyme? reason? I won’t pretend to have any! I also fall in the “not completely convinced” camp on Maeve. Mae I like, Maeve, erm…. It’s not the v either, I like Eve and Ava (for someone else) and even Naimh… eh, who knows? I just am not a fan of Mavis. But, honestly, I’d rather Mavis than another Maddie or McKenzie or even Mia – I know multiples of all of those names – in fact, add those together and they account for nearly half of the little girls under 5 that I know! Yikes! I’ve only read one or two from the In Death series… I’ll confess to despising the name Roarke… it’s so hard to say or even think of saying – it’s like a frog’s croak. For me, it’s by far the worse offender between it and Mavis. But I totally get feeling twitchy about a name… sometimes if a name in a book gets to me, I have a hard time finishing the book… alas, that is not a problem of late, since simply finishing (or even starting!) a book, any book, is an issue in itself, solely based on lack of time and the fact that my kids are crappy sleepers! Yep, my time and name exposure is right here. Sorry – it’s just not my thing! Maybe with a different accent it would sound different/better… it’s just very throaty when I say it. No problem 😉 I was just teasing you. I actually thought it was funny ! I don’t like Mavis. I prefer Maeve. P.S. I like the in Death series, too. Mavis Freestone does indeed rock! As soon as you mentioned Mavis Staple, I had to turn on I-tunes and play her c-d “We’ll Never Turn Back.” Her rendition of “Eyes on the Prize” will send chills down your spine! Anyways, if it wasn’t for Ms Staples, I wouldn’t think much of the name, it has such a boring, staid image. However, the same types of people who are naming their daughters Janis and June, might be turned on to Mavis. Thrush, Throstle and Mavis sounds like a pastoral Brit law firm. Adorable name! I knew an elderly Mavis growing up. She was a classy lady and I always thought the name seemed classy too, although a little old-fashioned. I think I prefer Mavis to the more popular Maeva with it’s ubiquitous ending. However, were I ever to use something with that first syllable it would probably be Maeve as a middle name. Um. No. And no to Mabel, too! These names need at least 20 more years. 😉 Even then, they might be no good, like Eunice or Grover or Bart. LOL Eve is the only one I like…and what’s up with Rourke? First name? Last name? Technically his last, but he’s made it his first. To put it short & have no spoilers, major daddy issues & instead of changing it, Sommerset told him to make it his own. Hence, Roarke is only Roarke. I did a search one day, & the one meaning I could find was ‘champion’. I first came across Mavis because of the character Mavis Freestone in the JD Robb In Death series (I’m hopelessly ADDICTED to it) . At first, the name used to irritate me, because it’s everything that I don’t go for. It definitely seems like a name that lovers of Maude & Agatha would go for ( at least to me). However, because of the character (who is so not granny-like at all ) I’ve come to not mind it. I can’t say that I like it & I’d never consider it; but it doesn’t irritate me anymore ( and it takes A LOT for me to get irritated).I can get why it might appeal to some. Either way, it’s nice to discover a new name. By the way, the In Death series is brilliant for a NE ; the names in it are utterly awesome. So, so diverse throughout the series . I like the series, too – but still not Mavis! I never knew Mavis was a nature name, now that I know that, I can appreciate her more.